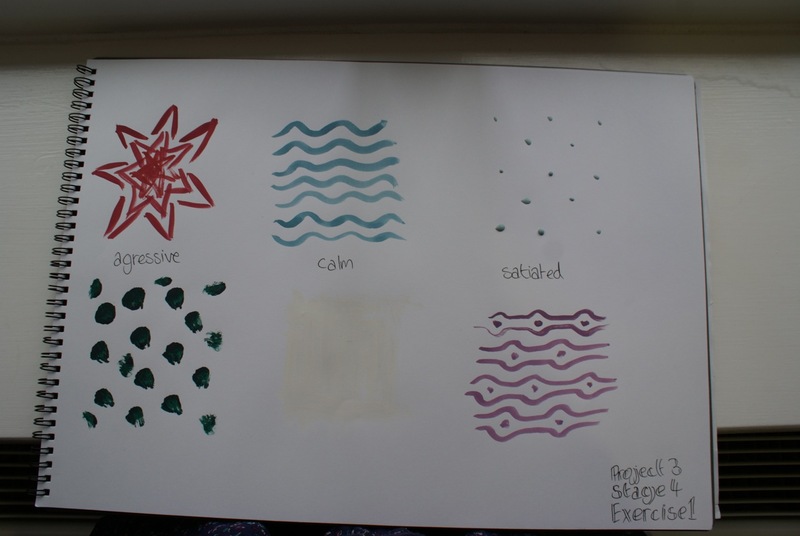 This stage was all about associating colours with moods or emotions – studying colour psychologically. I’m definitely of the opinion that everyone is different! Where I see muted colours as calming and restful, many see them as depressing! For example I’ve chosen a muted green as ‘happy’ where I’m sure most would associate yellow or pink or purple as ‘happy’. 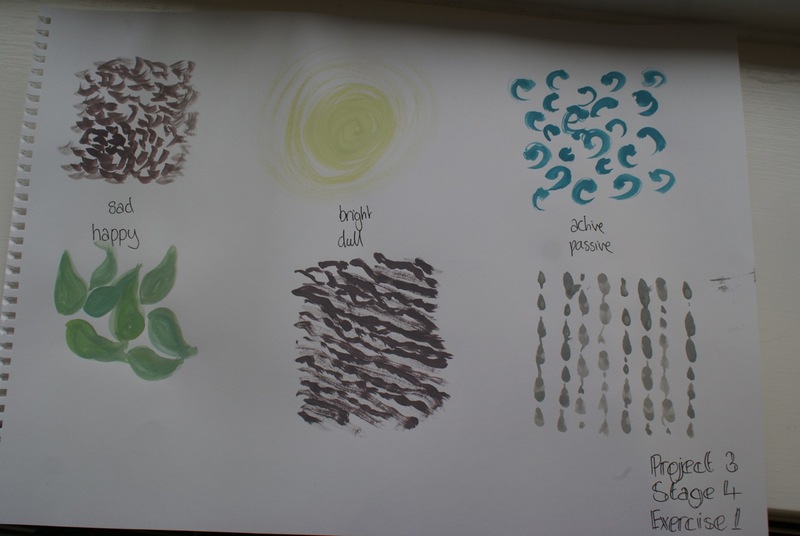 I’ve used pattern as well, revisiting some of the very first exercises of the course! Close tones within any one colour – teal/turquoise/blue/green colours all range from darks to lights but I guess I could pick out the dark tone group as one set and the light tone group as another – the mid tones are kind of seperate perhaps! Complementary and contrasting colours – Yes, where as the majority of the colour theme is blue/green, I am drawn to the flash of amber and the wooden colours – all tones/saturations of orange which is the contrasting. The blue moving through to green is complementary also. So I guess this is a triadic scheme. Saturated and unsaturated – There are flashes of saturated teal and I would also say the amber. 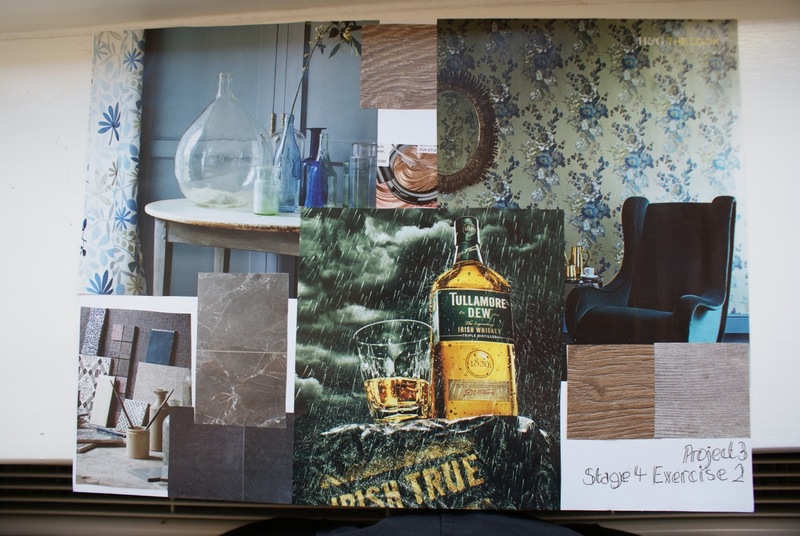 The unsaturated are all the wooden/slate colours – lots of greyed tones!